Slot candleholder (candles) to hang on the wall. (Sconce). 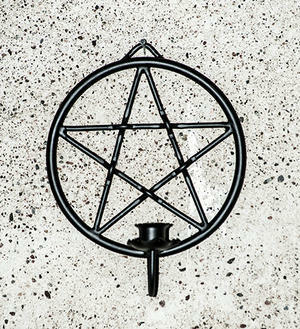 The pentagram in the background measurs 18.5 in diameter and has a hook for easy mounting on your wall. 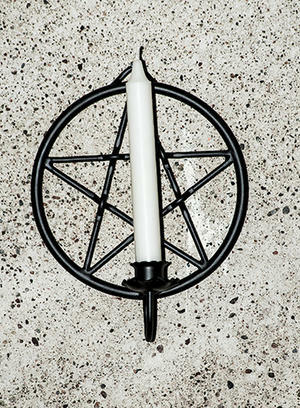 The candleholder measures a total 34 cm.